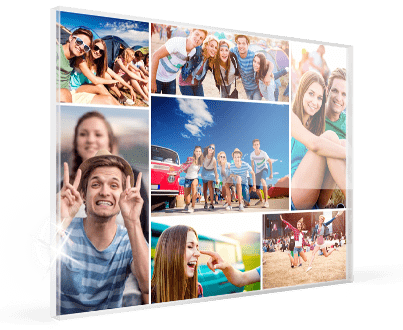 Anniversary collage – FREE templates for up to 100 photos! 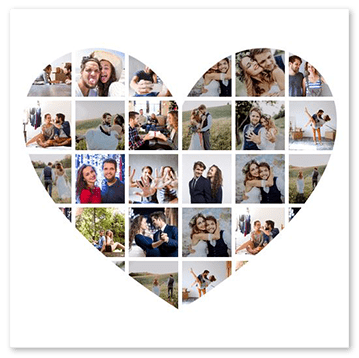 An anniversary collage is a wonderful gift idea that will bring back all sorts of happy memories for the couple and is sure to be appreciated. Show them how much you care with a unique, personalised gift. 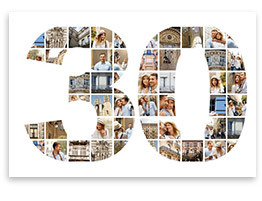 And making an anniversary collage is easier and less time consuming than you would imagine. 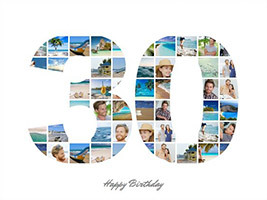 We offer numerous templates to create a wonderful photo collage for anniversary celebrations. 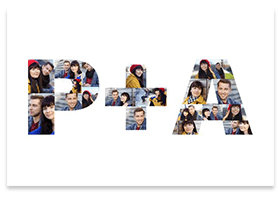 The templates with text are also very popular options for creating a collage. 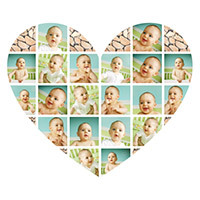 Here, you can add names to your anniversary collage, or dates, or a congratulatory message, for example. But if don‘t forget to plan in advance. Printing can take a few days, depending on the product. You want to make sure you have your anniversary collage ready for the big day. 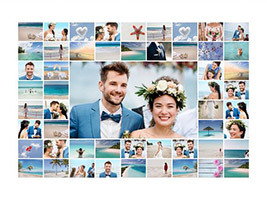 Whether a wedding anniversary, the anniversary of the day you first got together as a couple or a work anniversary, the anniversary photo collage is the perfect way to immortalise all those special memories of the last years. 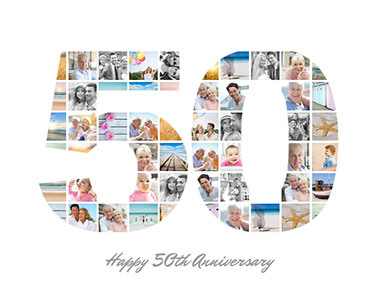 And because we offer anniversary collage templates for up to 100 photos, you don‘t have to leave out a single moment. 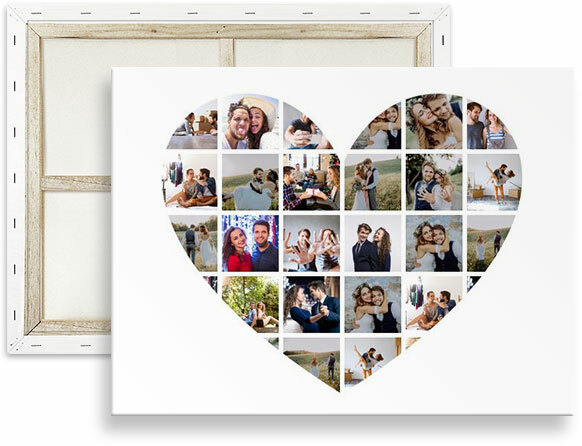 Create a wedding collage or an anniversary collage as a gift and present it on collage canvas as a beautiful, personalised piece of wall art fit for the occasion.